Nine years ago, my cousin introduced me to online gaming through the game World of Warcraft. It was during my 4th grade spring break that I installed WoW (Burning Crusade at the time) on my Windows Vista Laptop I had just received from my father. This was the first time I had played a game in a persistent, massive, and multiplayer world. It was like I had just been born into this virtual one, as a brand new person that knew absolutely nothing about it. The first few months I played on multiple trial accounts, just learning about the world, its players, and its mechanics. I was such a noob that I didn’t even look online for any information or help on the game; at the same time I was willing to learn completely by experiencing everything first time and asking around. The first time I saw Horde I was with my cousin in Elwynn Forest, and I’ll never forget the fear I felt when I discovered that there was a whole other faction that could kill me. He directed me to my world map, and explained, “They walk all the way from the top of the continent to kill us.” I found it hard to sleep that night. The virtual world was completely separate from real life, but every time I logged in I felt like I was really getting stronger while killing Cayotes and Harvest Watchers in Westfall. Once I finally bought the game, I experienced the first free month and was so satisfied that my sister and I split the fee to buy ourselves 6 more months of epic adventures in Azeroth. Our adventures were only beginning. Eventually I would hit level 80 and get a paid transfer to Horde thanks for my friend. My group of friends would join a very closely knit guild, Honordigm Bloodboss, full of exciting Ventrilo drama and the like. The most exciting parts of being 80 was defeating the Lich King and exploring the entire world before the necessary but evil Cataclysm. After Cataclysm, my zest for my WoW life just kind of died down. The world I had known was changed forever. Goblins, Worgen, new race-class combinations, flying in Azeroth. All of these were cool, but I liked the way everything used to be. During cataclysm I would occasionally bring back my subscription or start a new account for recruit a friend with a close friend or family member, but these returns were just short flings. Sometimes I even tried leveling on WotLK (Wrath of the Lich King) private servers for nostalgia, but I would stop playing as my friends would leave as well. For the next two expansions I wouldn’t have any active accounts, instead competing on the Summoners Rift in League of Legends, until finally I decided to accept the 10-day free Warlords trial that Blizzard offers. During this time, I noticed so many of the quality of life improvements, and decided to level a holy priest with full heirlooms. I was extremely disappointed in the way Blizzard changed the leveling process. Maybe it was the way I approached it, but once I was level 20 in a random dungeon instance of Stockades, I was literally able to /follow my tank and put one of those drinking bird toys on my Holy Nova key and drink my tea in real life. It was so easy; I felt like I could be brain-dead and hit level 100. No need to read quest text or even think about a strategy. The tank just pulls aggro, everyone spams their abilities with no consequences, and you’ve magically leveled up. Of course, I did not decide to revive my subscription. With the leveling experience basically gone, Blizzard has shifted their focus entirely on end-game raiding. The game feels less like a persistent world and more like a farm-fest. Instead of actually being out and about in the world, you’re walking back and forth between the action house, bank, and mailbox, because there’s this magical button that teleports you to dungeons, raids, and battlegrounds. Blizzard is like Bernie Sanders, almost giving away gear to casuals for free with the new Raid Finder. I remember when bosses would drop 2 pieces each and it was distributed among your guild which was, back then, like your second family. Now that you can fly basically everywhere, you don’t really meet allies or fight enemies anymore, because you can just fly away. It kills world PVP and makes waste of most of the little details that blizzard put in to every world zone. I thought I was completely done playing World of Warcraft until my friend told me that a private Vanilla WoW (the original game) server called Kronos would be holding a month-long event where you could chose to multiply your experience gain by up to 7 times. Personally, I don’t like to spend a lot of time leveling, as my day just sort of wastes away, so this was the perfect opportunity to experience the original game on it’s most Blizzlike and bug-free server. I first decided to level up a human Rogue. The nice part about 7x experience is that I am able to worry less about the speed at which I was leveling and pay more attention to professions and the details in the quests and story-lines, just like how I used to back when I was just starting to play in 4th grade (my favorite being the whole Defias Brotherhood quest line). As I leveled up, I kept getting rogue quests from SI7 (Stormwind Intelligence Chapter 7), which is a spin off of MI6, which is the British version of the American CIA. I was sent on missions all around the Eastern Kingdoms to steal, kill, and gather intel on the enemies of Stormwind. 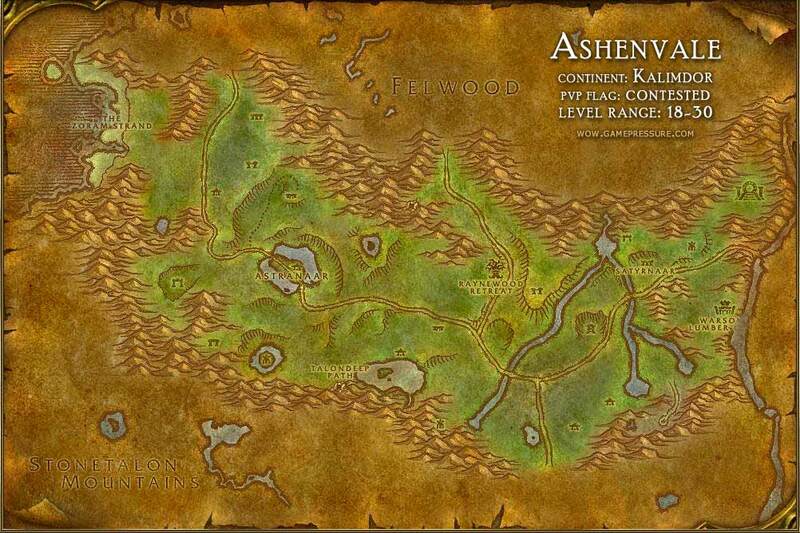 Hidden in the Hillsbrad Foothills, Ravenholdt Manor is the hideout of the most elite Rogues in Azeroth. Try finding it! For the first time in ages, I decided I would rely only on the game’s quest text and my own gut intuition to complete these rogue missions as well as the standard quests I was doing to level. There was once a quest where I had to walk all the way up to the Ravenholdt Manor in Hillsbrad Foothills through contested, higher level territories to gain reputation with some of the most dangerous rogues in Azeroth by gathering Syndicate insignia to show my allegiance. I was poor, and due to this was unable to afford most of my skills, but the experiences I went through along with the players I met and befriended to quest was amazing. Most scenarios required strategy and planning, and it felt so satisfying to complete daunting quests. Stealthing around Kurzen’s Compound all Sneaky Beaky like. Next I decided I wanted to make a Night Elf Hunter as an alternate character. The first 20 levels or so through Teldrassil and Darkshore were alright, but once I started to get to raise my cat I had trained and got to Ashenvale, I just started to really immerse myself in the world. I had to keep my pet well fed, buy arrows, properly kite high level monsters, and navigate through the twisting roads of Ashenvale, all while keeping my eye out for some bloodthirsty Horde players. During my play on my hunter, I decided to remove all distractions and just play the game. The combination of music, visual scenery, and weather effects just made me feel like I was actually running through the woods, making a dangerous expedition to the Barrens to kill an Undead necromancer. I even faced off with some of the travelling Hordies that contested the territory, but had to flee with my Aspect of the Cheetah because I was outnumbered. My time on Kronos has ironically felt like a breath of fresh air. The are active, dedicated players, willing to help you out. The scripting is the best of any private server I’ve played on. I feel engaged in every fight, unlike in the current state of retail where you just stomp through everything during leveling. I came for the x7 experience rate, and I’ve stayed for the beautiful game that Blizzard released in 2004. If I’ve sparked your interest, or you’ve been wanting to try out Vanilla WoW, I’d recommend Kronos. Like most private servers, it’s free. Here’s their promotional video on the experience event, which ends on March 28th, so act fast! I’m really thankful for the developers that brought back all of these wonderful old expansions for everyone to experience again or for the first time. Even Blizzard didn’t think people wanted to play on previous expansions. So what do you think about the state of retail and private World of Warcraft servers? Am I using the wrong perspective while looking at retail WoW gameplay? Either way, leave a comment with your thoughts. I’m very interested to know your opinion. If you want to hear more of my thoughts on games and programming, subscribe to my newsletter; it’s free! Thanks for reading, and I hope to hear from you soon! I had a very similar experience on Kronos so far, doing the whole avoiding the internet for help thing – and just using my intuition. I’ve always believed that people (not developers) for the most part ruin MMO’s. Many consumers break the game down into a science and follow that formula in their quest to be the best… and therefore killing the spirit of the second world feel. The developers try to respond to this… but ultimately kill the game for everyone. The amount of content available in World of Warcraft is absurd. It’s funny that people today get bored of WoW so quickly; it’s because they either skip through all the expansions before the current one through a character boost, or level up through RDF. This leaves just the end-game content that is quickly completed until the next patch (Warlords only had like 2 patches though). The problem with MMO’s like WoW is that when you update them the previous content sort of becomes useless it’s just something you have to get through to experience the stuff that actually matters at the time. I’ll be staying on Kronos to try to experience as much of the good old Azeroth I remember as a kid as possible. Thanks for sharing.